Ancient capitals have witnessed over time the evolution of civilizations in many different countries and regions of the world. Today they play an essential role in preserving history， maintaining cultural identity， facilitating cultural understanding， protecting cultural diversity， and promoting heritage tourism. 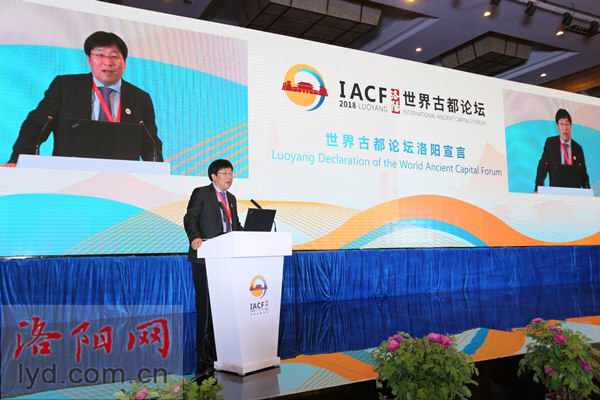 With the rapid development of urbanization， ancient capitals， and the historic and cultural heritage they contain， are facing severe challenges while at the same time being offered great opportunities. It is our common responsibility to protect and wisely use the cultural heritage that ancient capitals are offering us. Culture benefits from communication， and civilization is enriched by mutual exchange. The “One Belt One Road” initiative was proposed by China in 2013 and provides a unique platform for exchange between world civilizations. 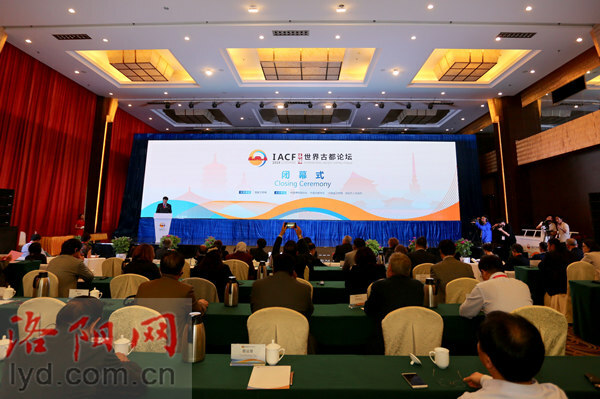 This initiative has received positive response and wide support from the international community， and the ideas contained in its framework are gradually being put in place. 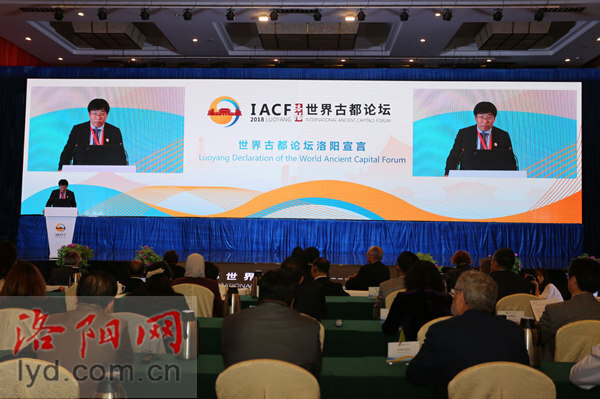 To achieve these objectives， we should establish the International Ancient Capitals Forum as a regular event， strengthen cultural and academic exchanges between the ancient capitals of the world， and actively put in place bilateral and multilateral exchange mechanisms and cooperation platforms on the subject of the cultural heritage of ancient capitals. These would help promote mutual understanding， respect and trust among ancient cities and nations. We should mobilize the international， national， local， industrial and institutional forces in order to encourage meaningful dialogues and conversations and to jointly increase the potential of cultural heritage and the development of its protection. The study， protection and utilization of ancient capitals should be carried out from a global and international perspective. 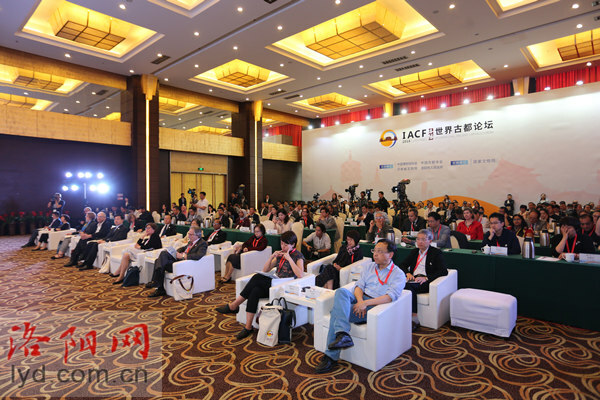 We should bring together expertise from around the world to fulfill our responsibility to the protection of cultural heritage， to facilitate the exchange of new technologies and methods， and to deal with the common problems encountered in the protection of ancient capital heritage around the world. We should continue to investigate the historical value and the spirit contained in the heritage of the ancient capitals. And we should tell their stories in many different ways， thereby highlighting the value of this heritage and promoting its safeguard. We need to find ways to integrate the research on ancient capitals using the newest academic， scientific and technological advances and innovations and the use of these great ancient sites with the development of modern cities. We must take the initiative to promote the transformative potential of ancient capitals， making them an essential force driving cultural tourism， city revival and humankind’s yearning for a better tomorrow.